A slew of fire accidents occurred in less than a month damaging human lives, properties and goods. The fire that broke out in a factory in Delhi, Mumbai’s Kamala Mills rooftop hotels and Madurai’s Meenakshi temple were disasters waiting to happen. Initial findings suggest that storing inflammable materials, blocking exit passages, overhanging electrical wirings are some of the causes. These incidents should be treated as a wake up call. A recent report, FICCI-Pinkerton’s The India risk survey, 2017 ranks natural hazards the fourth highest risk to business up from last year’s seventh position. India is considered at a high risk of natural hazards with a significant risk to businesses and communities compared to developed economies. India has the scope to strengthen its institutional capacity, financial resources and infrastructure to mitigate the adverse effects of natural hazards. According to National Crime Record Bureau, 18,450 cases of fire accidents were reported in 2015 which injured 1,193 and killed 17,700. Fire has been ranked fifth, up by three positions from the last year’s ranking, cites the report. There has been a steep rise in the constructions of buildings in India, especially High Rise buildings. Because of its peculiar nature, fire in residential buildings, particularly high rise buildings becomes more complex and the salvaging operations become more difficult and sometimes even resulting in many deaths and huge property losses. In metro cities, high rise buildings lack adequate in-built fire protection systems. In commercial establishments, major fires start in storage area and warehouses than production areas. Poorly stored goods, even though they are not flammable, may help to spread fire and hinder fire fighters gain access to the seat of the fire or reduce the effectiveness of sprinkler systems. Goods tidily stored with gangways may help to inhibit the spread of fire. Fire Safety Audit (FSA) is found to be an effective tool to assess fire safety standards of an organisation or an occupancy. In other words, it is aimed to assess the building for compliance with the National Building Code of India, relevant Indian standards and the legislations enacted by state governments and local bodies, on fire prevention, fire protection and life safety measures. Although FSA is an effective tool to asses fire safety standards of an occupancy, there are no clear provisions in any of the safety legislations regarding the scope, objective, methodology and periodicity of a fire safety audit. Therefore, FSA should be made mandatory all over India and the work should be entrusted to independent agencies. It is reasonable to have a fire safety audit every year. In India, although there are many rules and regulations, codes and standards related to fire safety, these are seldom followed. There is a need to revisit fire safety audit regulations and state fire services as well. Fire service is a state subject and has been included as municipal function in the XII schedule of the Constitution. The municipal corporations and local bodies are responsible for providing fire services in many states. 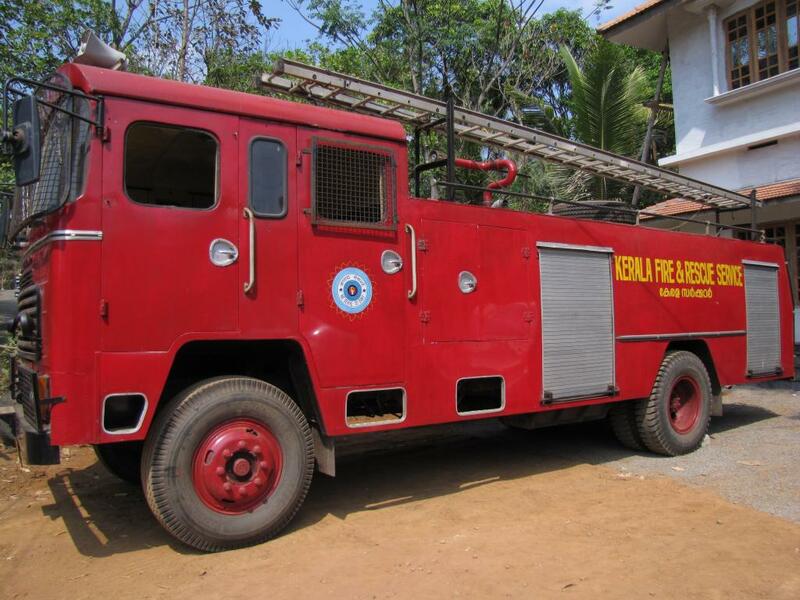 Due to lack of resources, fire services are ill equipped in providing adequate fire safety cover to the population. Based on a 2011 study, 65 per cent deficiency was reported in fire stations. According to Ministry of Home Affairs, in 144 towns with population over 1 lakh, there is a huge deficiency of fire fighting infrastructure. The government has provided financial assistance of Rs 176 crore during 2009-13 to modernise states fire services and supplements the efforts towards moderisation of state governments by providing funds. Thus, the government should continue to provide financial support and assistance in augmenting and modernising the fire departments. This should be over and above higher states allocation (42 per cent) recommended by the Fourteenth Finance Commission. Building awareness among citizens about fire prevention and protection measures is also of paramount importance. Organising fire fighting workshop once in six months in localities/mohallas/schools with the involvement of local councellor/elected representatives is one way to achieve the aforementioned. There are many offices/high rise buildings/mandir and religious places having fire fighting equipments installed but hardly any person has the knowledge of using them. Lack of maintenance makes the equipments dysfunctional.The schools where mid-day meals are cooked are potential fire hazards. Fire service departments should visit above mentioned installations periodically (once in six months) and take appropriate actions against erring establishments.